We’re offering five broad principles that support financial well-being through effective financial education. Everyone has goals. You want to learn a new language. You want to learn to bake. You want to read more books. But, how we move from those goals or intentions to action and results can be a difficult proposition. This challenge is especially true when people are trying to set financial goals. Our research has identified that financial educators and other practitioners need to take into account the person, their environment, their goals, and their situation in order to help people improve their money management habits. We have summed up our findings into five principles that financial educators and other practitioners can put into practice to help drive financial action and well-being. 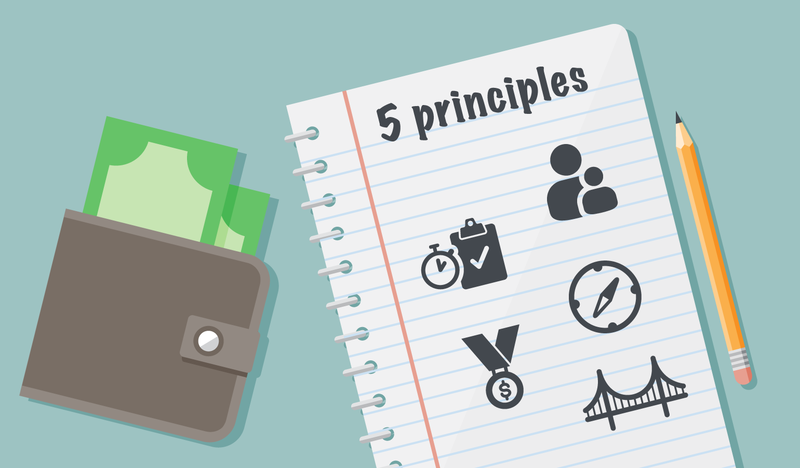 To get to these five principles we leveraged our financial well-being research on how people make financial decisions assembled from many fields of study, and gathered input from experts and practitioners in this field. Naturally, there is no single right way to provide financial education, just as there is no single right way everyone should conduct their financial lives. Many approaches can work, reflecting the diversity of people’s circumstances, opportunities, aspirations, and the ingenuity of those helping people take steps to improve their financial well-being. We offer these principles as a path forward for financial education, in its many different forms. Our report, Effective financial education: Five principles and how to use them, discusses each principle and gives examples of tested strategies and tips for ways to put them into practice. Check out our summary for a quick reference to the principles and how they can foster financial well-being .